Wendy and Michael met new allies, presented strategies, and found new tools making the case for public lands. High profile friends groups including Friends of Gold Butte and Utah Diné Bikéyah (fighting for the Bears Ears National Monument) shared stories from their battles. We attended workshops and spoke with charismatic lawyers and enthusiastic policy experts. The Conservation Lands Foundation tailored the Grassroots Network to kindle the flame of conservation under the targeted attacks we face from mining, energy, and executive orders. 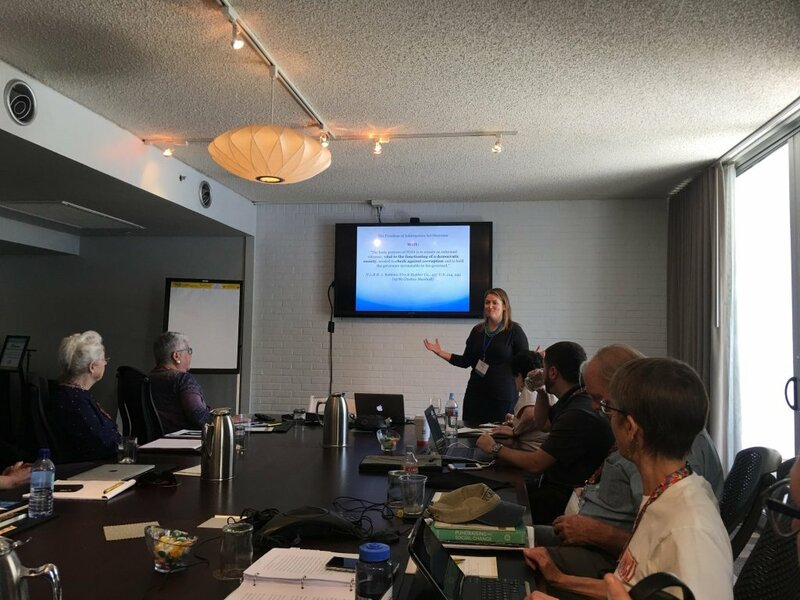 Our Friends Grassroots Network–made up of 63 community-based groups, mostly in the West–helps individual groups use their collective influence to advocate for new designations and advance strong conservation management policies and practices. 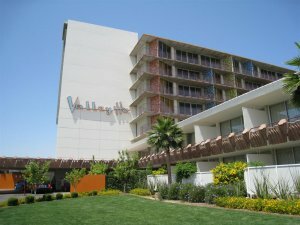 The Hotel Valley Ho prides itself on contrasts from bright colors to culture. DJ’s blasted music for an afternoon pool party in the courtyard while we filled the convention spaces with important meetings. The passionate presenters brought life to fundraising, media productions, and administrative procedures. Sadly, we lacked the time to don swimsuits. Instead we toted laptops and shuffled between meeting rooms, catered work lunches, and dinner speeches. Skipping the pool did let us make new friends and plan exciting projects. I strategically used the occasional bathroom break to sneak past sun baked twenty-somethings and order quick shots of espresso. The intoxicated youths probably mistook us for a workaholics anonymous meeting. They didn’t know that CLF also throws a great (policy) party! Legal topics sound like a snooze, 😴 but Lizzy Potter from Advocates for the West presented us with fascinating and powerful tools. Their strategies focused on each step of a campaign to delay or overturn administrative policy. Wendy asked pointed questions and spent each evening, meal, and break recruiting allies for our Conglomerate Mesa campaign. Meanwhile April Sall from Bodie Hills Conservation Partnership taped an appeal for a future national monument campaign. Each group recieved one minute to present their issues and update to the entire room. Obviously such passionate people have a hard time sticking to a single minute! However the most powerful message came in the form of video. Several groups prepared high quality productions their areas, but the best in show came with a frightening tagline #dontbombthebighorn. Spoiler alert! Friends of the Inyo is working on a new video coming out soon. However there’s no need for you to worry, we’re not ditching “traditional” forms of media. For all the print media fans, our beautiful printed Jeffrey Pine Journal will keep hitting member’s doorsteps every six months. Want to make sure you never miss an issue? Renew your membership here. We joined a mapping workshop with Wetherbee Dorshow to host stunning maps on our website. The simplicity of Earth Analytics solutions empowers our networks visual presentations, and provide simpler communication. 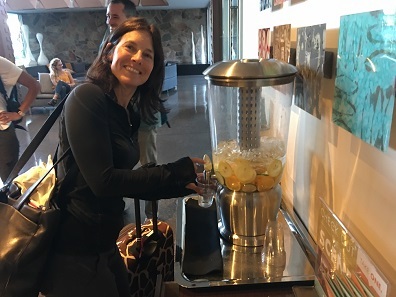 Wetherbee’s resume includes designing apps for indigenous people to document traditional forest management in tropical forests among other exciting projects. 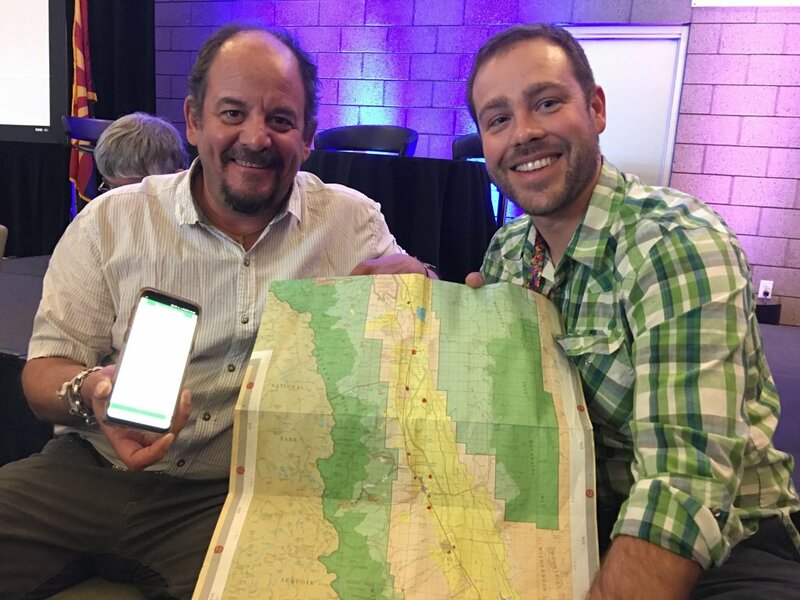 We appreciate ESRI’s help with the network, and their partnership with Friends of the Inyo through annual grants. Kim Klein literally wrote the book on fundraising, but she presents donor gifts as a relationship with powerful consequences. Our groups work to make giving a rewarding experience that includes members in important local projects. Kim, CLF coaches, and our team mates share stories to reach donors and cut through online noise. Friends of the Inyo treats donations as a gift from a friend. Kim’s program evaluates our progress ensuring we maintain our relationships. All in all, this was an amazing learning and networking opportunity for Wendy and I. 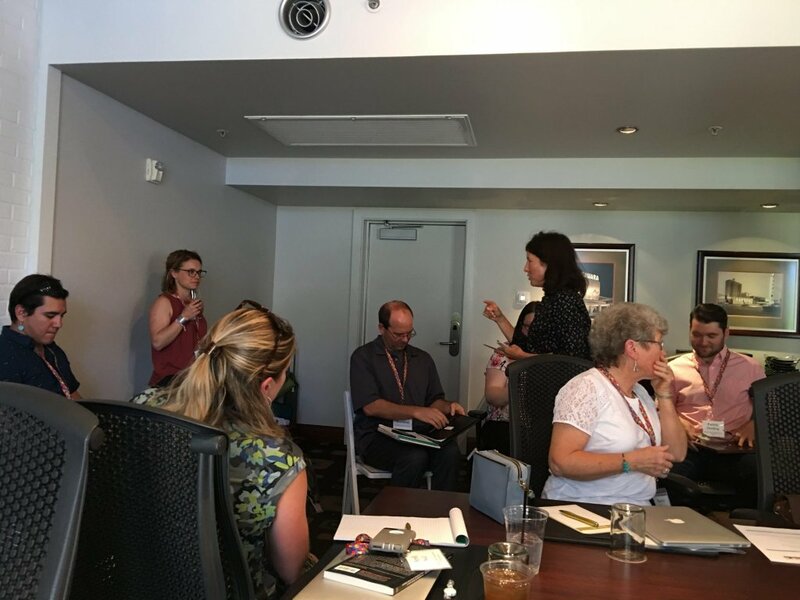 Huge props go to CLF for bringing like-minded organizations together in the same room to share ideas, make connections, and continue our important work of environmental conservation.